We welcome approximately 660 first-year students each year who share a commitment to academic adventure and community participation while bringing diverse backgrounds and talents to our campus. Our admission process is selective; however, we are equally committed to enrolling students who will benefit from and contribute to life at Puget Sound. We look forward to reading your application. If you have any questions regarding applying to Puget Sound, please send an email or call the Office of Admission at 253.879.3211. You may also contact your admission counselor. In order to simplify the application process for our prospective students and uphold our commitment to environmental responsibility, Puget Sound uses the Common Application for first-year and transfer student applications. For information regarding financial aid and scholarships, please send an email or call the Office of Student Financial Services at 800.396.7192. Additional financial aid information can be found by visiting the Financing Your Education website. Please be sure to review our complete list of important admission and financial aid dates and deadlines. The deadline to apply ED is Nov. 15. Candidates will be notified by Dec. 15 and if admitted, required to enroll by Jan. 15. Students who have selected Puget Sound as their top choice for college are invited to submit an application for Early Decision admission. Applicants will be either admitted, deferred to Regular Decision review, or denied. 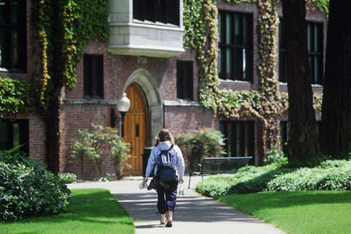 Puget Sound's Early Decision program is binding, which means if you are admitted, you are expected to accept our offer of admission and withdraw any applications to other colleges or universities. As part of your application, we require that you submit an agreement reviewed and signed by you, your parent/legal guardian, and your school counselor, acknowledging the terms of our Early Decision policy. The deadline to apply Early Action is Nov. 15. Candidates will be notified by Jan. 25. Early Action candidates submit applications in November of their senior year of high school and will be notified of their admission decision in advance. Applicants will be either admitted, deferred to Regular Decision review, or denied. This option is not binding; admitted students have until May 1, also known as the National Candidates' Reply Date, to decide on accepting our offer of admission. Regular Decision candidates must apply to Puget Sound by Jan. 15. Puget Sound will begin to notify applicants of their admission decision starting Mar. 15. Applicants will be either admitted, offered a spot on our wait list, or denied. This option is not binding; admitted students have until May 1, also known as the National Candidates' Reply Date, to decide on accepting our offer of admission.